Hello, everyone! Did you have a good weekend? My sister, mom, and I headed to the Nebraska State Fair to see Keith Urban in concert! It was our fifth time seeing him together, so his concerts are becoming quite a tradition for us. He put on a great show and I loved having some quality family time this past weekend! How adorable is this dress from the Bee's Knees Loft?! I recently discovered this boutique and am obsessed with their pieces. This dress caught my eye immediately, but they have so many cute pieces. I love long sleeve dresses to transition into a new season. My burgundy floppy hat adds a fun detail and I love it with some wedge booties! Mine are DV by Dolce Vita from last year, but they are pretty much identical to the Gwynn Wedge Booties from this year! These are a great option for wedge booties, if you are on the hunt for some! First things first. I have worn my Tory Burch Leopard Revas countless times on the blog. I always get a lot of compliments on them. I have found them online one time since purchasing them, and they only had a few sizes available. Well, I have FINALLY found them again and they are in stock from size 5-11! If you like them, I would not hesitate to buy them! In the three years since I have owned mine, this is the first time I have found them online in all sizes. Shop here. If you are worried about the cost, I would just say that these shoes are well worth the money. I have had mine for three years and they still look and fit great! As most of you all know, I work a full time job. I think blazers are a closet must have for anyone, but they are an essential if you work in the corporate world! Anytime I have a presentation, or want to be taken more seriously, I will throw one on my outfit. This navy one is from a store called Byer California. I LOVE it. It's comfy, fits great, and I love the sleeve detailing! Byer California has a ton of cute clothing. One thing I love about their website, is that it has an entire section dedicated to work wear. It makes it extremely easy to shop and find what you are looking for! If you want to order something from their site, make sure you use code "amemoryofus" for 20% off at checkout! Happy Wednesday! It has been awhile since my last Instagram Roundup, so today I thought I would share with you all some of my recent Instagrams. I have been making an effort lately to feature different content on my blog and Instagram account, so if you are not yet following along you can do so here. 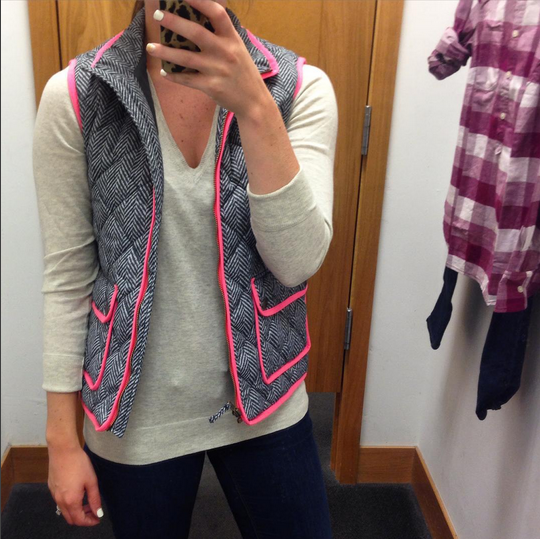 Did you know that the herringbone vest comes in a pink trim?! This is actually kids sizes, but I think it is super cute! (They also have one that is a black paid and I am in love with it!) For size reference, I am 5' 3" and am wearing a size 14. Shop it here for only $51! 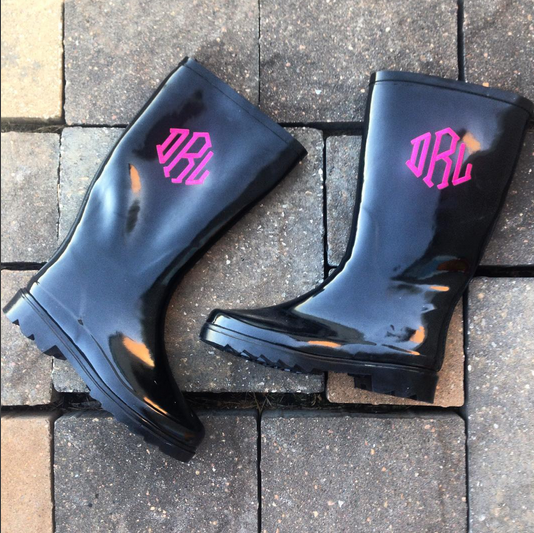 If you are subscribed to me on YouTube, you would know I recently had a giveaway where you could win your own pair of customized rainboots. The giveaway is now closed, but if you want a pair for yourself, click here. I might be the only one, but I'm not ready to say goodbye to summer! If anyone is looking for a new book to read, I would definitely recommend this one. 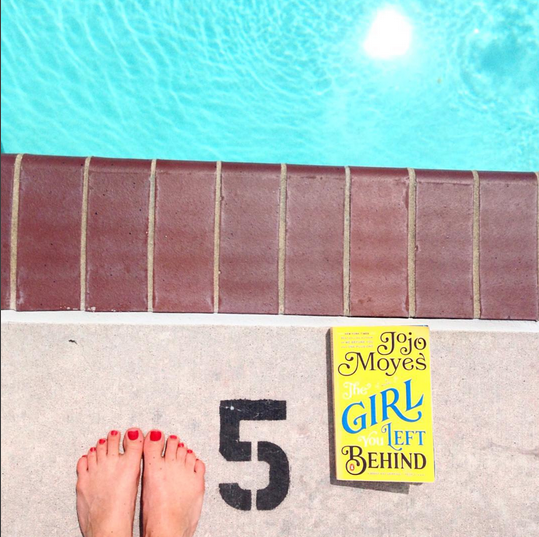 The Girl You Left Behind is fantastic. 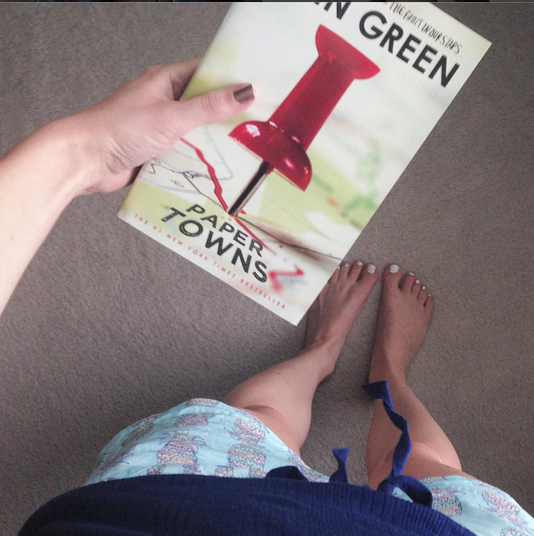 It did take me a couple chapters to get into it, but now I can't put it down! 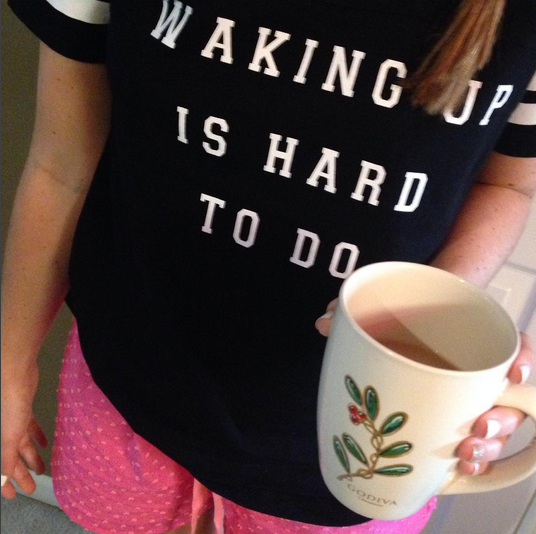 This cute pajama top speaks the truth! I love how it looks with these pink boxers. 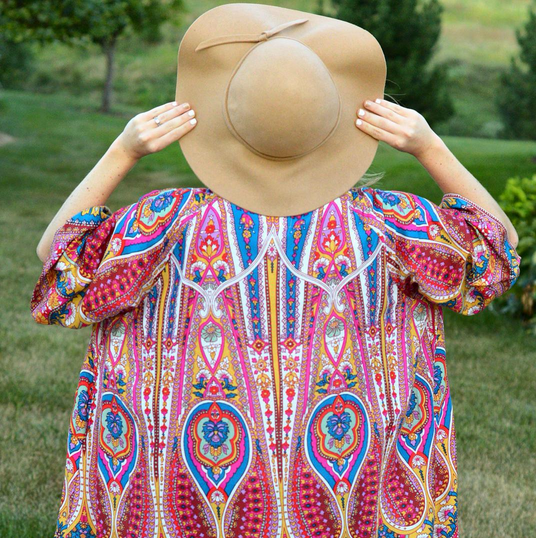 Is there a better combo than a pretty kimono and floppy hat ? My kimono is also currently 50% off, buy it now!! My arm party essentials for the last few days include this Stella and Dot Maylee ringand this Kendra Scott Rory Bracelet. Which 'gram is your favorite? As I mentioned in yesterday's post, Tyler and I went to Weston, MO on Saturday to spend the day with his parents. There are two wineries in Weston, but we spent the better part of the afternoon at the Pirtle Winery. We all had so much fun! When you get to the winery, you get to try every single wine they have for free. (Seriously!) They give you a sheet of paper that lists them all so that you can keep track of your thoughts on the wine. My favorite was the Weston Bend Rose. If you like sweet wines, like moscato, you would like this! After you go through the whole list, you pick what you want to drink for the rest of the day, or what you would like to purchase. One fun thing they had there was wine slushies. They were as amazing as they sound! Pirtle Winery has some mixture they add to a bottle of wine and water that turns the drink into a delicious slushy. Tyler's mom and I each had one, whereas Tyler and his dad stuck to a glass of wine post tasting. We spent about another hour just chatting and enjoying the space before heading off to dinner. I had never been to a winery before, but it was great time! I think it was a little different than a traditional winery, because we just stayed inside and didn't go out through a vineyard or anything. I am not sure if you remember, but one of the things on my Summer Bucket List was to go to a winery, so I am glad I am now able to cross it off the list! Weston, Missouri is a small town about 30 minutes away from Kansas City. They are known for their cute bed and breakfasts, winery, and brewery (with underground bars and live music)! Tyler and I have talked multiple times about going and checking out the town, but just could never find the time. This past weekend, Tyler's parents were staying at a bed and breakfast there, so we went up Saturday to spend the day! His parents stayed at the Benner House. It was such a cute, Victorian house! We spent the afternoon walking through all the fun stores. (Our favorite was a store with all hand-made dishes from Poland!) We also spent a couple hours at the pool in the backyard. It was such a fun way to spend a day! If you follow me on Instagram, then you saw we made a stop at the winery Saturday evening. I will have an entire post dedicated to it tomorrow. Tyler and I both agreed we would easily make the trip back to just go to the winery and out to dinner! It was such a fun day trip, and if anyone else is in the area I would highly recommend you stop there! A couple weeks ago, I posted a video all about sorority recruitment. I talked about what to expect on the different days, how recruitment worked, and gave my experience. In the comments for that video, I noticed multiple people asking for a video about what to wear for sorority recruitment so that is what today's video is all about! Whether you are in college, or not, I hope the video will give you some fun outfit ideas! Which look is your favorite? Let me know in the comments below! If you want to subscribe to my channel, click here. If you follow me on Instagram, then you probably saw this post about my favorite accessories. I cannot get enough of this ring or bracelet. 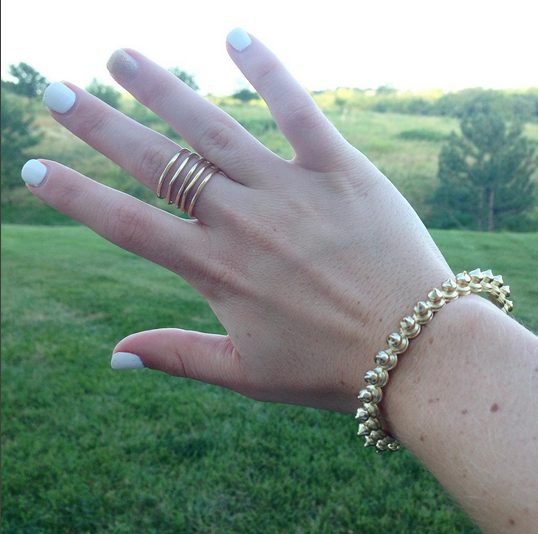 The ring is my first purchase ever from Stella and Dot! (What, how is that possible?!) I am obsessed with it and I think it is a really good price! I think sizing for rings online is always weird, so if you are curious I am wearing the M/L! P.S. anybody out there love the J.Crew Herring bone vest?! I am OBSESSED with mine! Well, I recently found one that looks the same but is currently on sale for less than $30! Shop it here.